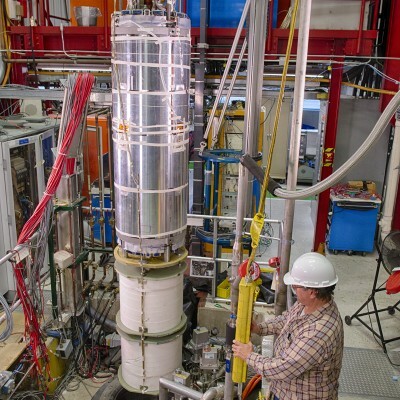 The Test and Instrumentation (T&I) Department of the Applied Physics and Superconducting Technology Division (TD) is a service and development organization. 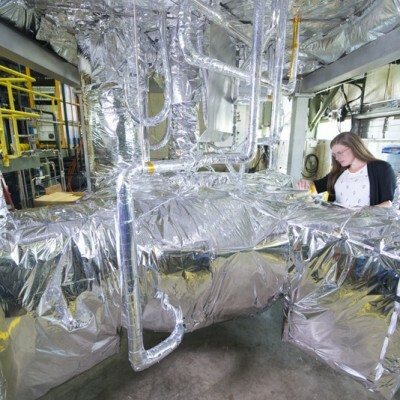 The department performs measurements and tests of both R&D and production accelerator components, and develops technologically advanced instrumentation, control solutions, and cryo-mechanical systems for accelerator applications. The major customers of the T&I department are other TD Departments and TD Projects. The highest priority of the department is to provide efficient and effective support of testing programs to our customers through the products we deliver. These products are test data, instrumentation components, and systems for use within and outside the department. 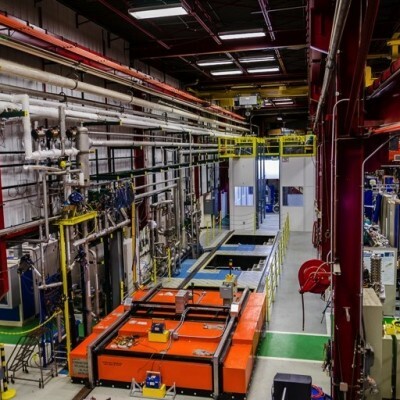 The two major accelerator technologies that the department supports are magnets (conventional and superconducting) and Superconducting Radio Frequency (SRF) cavities. Mu2e TS prototype magnet and test stand top plate assembly insulated and ready for testing. 1st LARP 150mm quadrupole MQXFS1 is lowered into the Vertical Magnet Test Facility dewar. 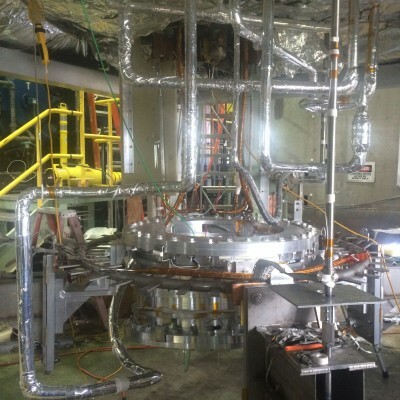 Mu2e TS prototype magnet and top plate disassembly following successful cryogenic test at CHL. Three vertical test dewars with sliding radiation shielding block, cryogenic lines and preparation staging area.